The Richell Freestanding pet gate is designed to fit doorway or hallway openings from 39.8-inch to 71.3-inch wide. This Richell free-standing pet gate is crafted from the best hardwoods and can easily be collapsed when not in use. 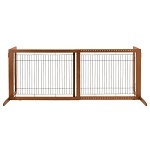 This pet gate is beautifully designed and constructed for easy use in any area of your home. Just lift and move as needed - anytime, anywhere! The Bay Isle is also easy to step over so you will not have to move it to get from one room to the other. An extra wide leg base allows it to completely supports itself without being pushed over by your pet. A unique feature to this gate is the rubber-feet to protect your floors when you move it around the house. 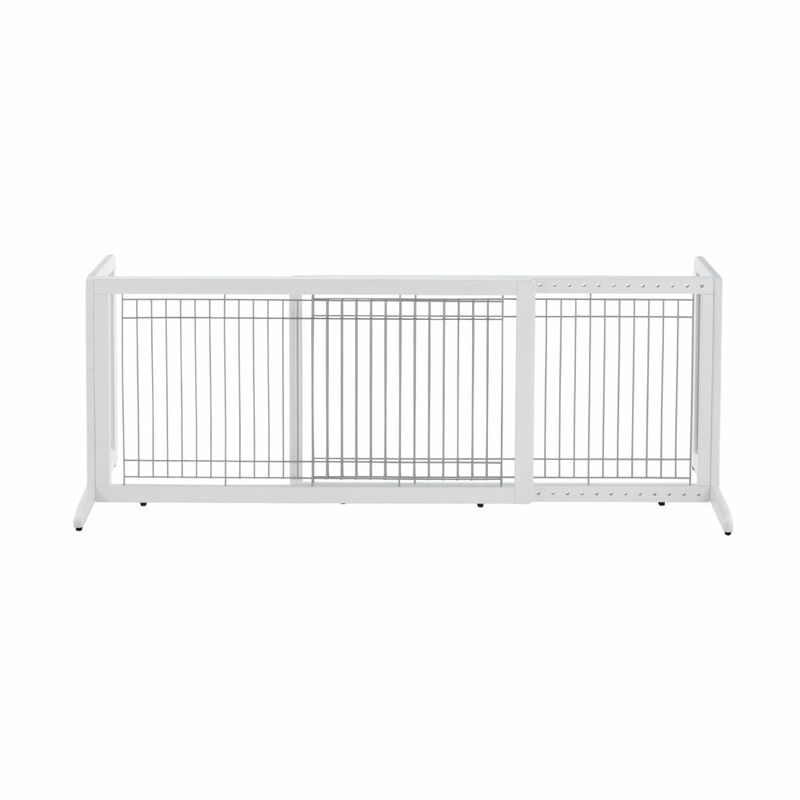 The Bay Isle pet gate easily expanded so your gate can be used in any room to block almost any entrance. This pet gate folds flat for easy storage. Recommended for small dogs 6.5 to 17.5 lbs (3-8 kg) imagine this beautiful pet gate in your home. Its low height allows you to simply step over with ease! Side panels are designed to keep the gate from tipping over, plus the rubber feet keep it from sliding. special design features keep your pet safely confined. its beautiful hardwood construction complements Richell's other fine wood pet products! Small - Regular 20" 26" to 40"
Large - Regular 20" 39" to 71"